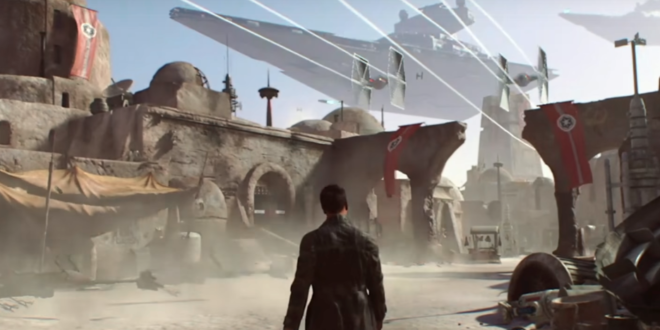 Home / Video Games / What does EA’s Star Wars pivot mean for licensing? In 2008, California-based game developer Visceral released Dead Space, a slickly-produced evolution of the survival horror genre. The game was an instant hit, combining the core elements of Resident Evil with the aesthetics of Ridley Scott’s Alien to create what could be considered the quintessential horror-action game. Pioneering environmental storytelling and natural storytelling deftly woven throughout the gameplay, the title was an outstanding example of the power of a focussed-narrative driven interactive experience. Several years on, the studio’s owner EA’s sights were firmly focussed on its newly acquired Star Wars license and so it was only natural to assign the task of creating a single player action/adventure title to Visceral, with master of the craft Amy Hennig at the helm, who had previously headed up titles in the superb Uncharted series. But the sky-high hopes for fans everywhere were dashed yesterday when EA announced in a sterile statement that the project as we knew it was effectively dead, with the game being handed off to another internal studio for a pivot to a multiplayer open-world design. Even more heartbreaking was the fact that the venerable studio was also unceremoniously axed, throwing into question the careers of some of the most talented developers in the industry. The outpouring of emotion from across the industry was unprecedented, a mix of sadness for the staff now displaced and anger at EA for disregarding originality in favour of slavishly following industry trends. For those in the scene, this kind of thing is nothing new. 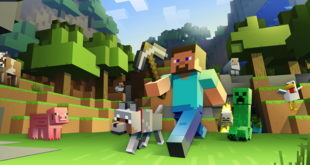 As the development of blockbuster, AAA games becomes increasingly expensive, publishers have become decidedly risk-averse leading to a phenomenon some have come to see as the homogenisation of video games. Much like Hollywood with its endless production line of superhero movies, AAA games are quickly becoming indistinguishable from each other in their design, with most games presenting an open-world environment with a large map, dotted with icons representing usually combat-based activities and asynchronous multiplayer, allowing players to accomplish tasks solo or with friends. Player progression is key to this game structure as well, with the player character’s gear usually being the key driver of this. This also allows publishers to indulge in that most insidious of business practices by selling loot boxes – randomised collections of gear or items that offer the player a shortcut to progression, in exchange for real-life currency. While this type of game structure can be executed excellently, it leaves little room for new titles to make a lasting impression on players. When one thinks of the biggest franchises to transition from gaming to other industries the iconic titles that spring to mind are Sonic, Halo, Dark Souls, Call of Duty, games with singular, focused narratives. Even open-world games like Grand Theft Auto and Assassin’s Creed have had healthy licensing programmes due to being pioneers in their genre but what of the countless others that fall by the wayside? Equally MMO-style games like Destiny allow little room to develop memorable characters that will stick with the player after the game is done, due to every playthrough being unique, with player-created characters. There’s certainly no easy solution to this problem. While a game like The Last of Us may make you laugh, cry and ponder the human condition, this focused and expertly crafted 10-hour experience will never be as lucrative as a game that is treated as a service that can continually generate and sell new content over a long period of time. Looking to smaller budgets and less bombastic experiences is a method that has worked for titles like Ninja’s Theory’s excellent Hellblade but its undeniably sad to picture a world without tentpole titles like Uncharted and God of War. For licensees and agencies, spotting the next breakthrough game property could become increasingly difficult in this homogenised landscape.